Liquidation Value represents the full value of a corporation’s complete range of physical assets if and when it declares bankruptcy or actually goes out of business. This value is compiled when every asset on the company books and balance sheet becomes tallied up. This value then includes real estate, equipment, factories, fixtures, and inventory. Those assets that are intangible would never be a part of the firm’s final liquidating value. 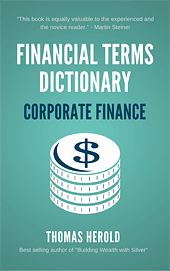 This is one of four key types of value assigned to a corporation or company’s various assets. These include book value, market value, salvage value, and liquidation value. 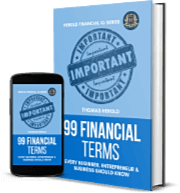 With every category of value, this delivers an alternative view point for both analysts and accountants alike to classify the total value of all assets. 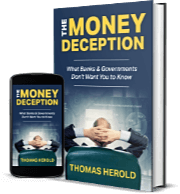 For individuals and investors who engage in workouts and bankruptcies, this Liquidating Value is absolutely essential to know. Book value and market value generally vie for the crown of largest assets’ category valuation. In cases where any group of assets’ market value has deteriorated because of decreasing market demand instead of the business using it up, this proves to be true. With book value, the asset value equates to the one declared upon the corporate balance sheet. Since the company balance sheet declares these assets for their historical price and cost, this means that the book value could equate to more or less than the relevant market prices which apply on a given day. When the all around economy is growing and prices in general are rising, then this book value is traditionally less than the relevant market value. With liquidation value, the sum represents the anticipated price for the asset after it has been sold, generally for a loss as compared the original price. Salvage value refers to the one assigned to the assets once they reach the conclusion of their natural and useful life. This then would represent the scrap value of assets. Liquidation value typically proves to be less than the book and market values yet still higher than basic salvage value. Liquidating assets are still valuable, they just sell for less than they otherwise should and would because of the proverbial fire sale in a shortened time frame. It causes them to be sold for losses versus their listed book value. There are reasons why such liquidation values never include any intangible asset prices. Such intangible assets comprise the goodwill, intellectual property, and brand recognition of the company or corporation. When firms are sold off instead of being liquidated, the firm’s value will include both intangible assets’ value and liquidation value. This is why traditional value investors will consider and contemplate the variances between the ongoing concern value and the market cap value. They are able to decide this way whether or not the stock of the corporation represents a good value. It is always useful to consider an example in order to clarify the concept of liquidation value. A given corporation the Snappy Pop Company has $550,000 in liabilities. They also possess book valued assets of $1 million on their company balance sheet. The auction value of these assets might be $750,000, which represents three-quarters of their fair value. At the same time, the salvage value is $75,000. To determine the liquidation value, analysts simply subtract out any liabilities (in this case $550,000) off of the auction value (in this case $750,000). This gives a value of $750,000 minus $550,000 for a grand total of $200,000 liquidating value. The term 'Liquidation Value' is included in the Accounting edition of the Financial Dictionary. You can get your copy on amazon in Kindle or Paperback version. See more details here.